Pininfarina’s 1973 take on the seminal Jaguar saloon wasn’t their finest hour. But while it served to highlight a fundamental weakness in the Italian carrozzieri’s business model, it did lead to something more worthwhile. For the Italian carrozzieri it was a matter of intense pride that no manufacturer was creatively off limits, even one with as strong and universally lauded a design tradition as Jaguar. Predominantly the result of one man’s exceptional taste and unswerving vision, the craftsmen of Piedmont time and again dashed themselves fruitlessly against the creative work of Sir William Lyons and his small band of gifted interpreters. But with Jaguar’s founder taking a back seat in the run up to his retirement, the tectonic plates were shifting. At its core, the motor business is a small and fairly incestuous place and given that Sir William enjoyed a cordial relationship with the Italian styling houses, it was probably widely known not only that change was afoot, but that work would soon begin on a new Jaguar saloon – the first not to be styled under the Jaguar founder’s direct supervision. 1972 saw the belated launch of the XJ12, Jaguar’s saloon finally gaining the power unit that had been expressly designed for it. Instantly hailed as the finest luxury saloon in existence, orders poured in for Browns Lane’s flagship, with Sergio Pininfarina obtaining one of the earliest models. Nobody could be in any doubt that the XJ12 was a superb looking car, arguably the most visually accomplished four-door saloon of all time, but Pininfarina wasn’t about to allow this small matter stand in his way. Rebodied along more contemporary Italian lines, the XJ12 PF, stylistically attributed (it is believed) to Paolo Martin was completed in 1973, before being displayed at that year’s Paris motor show. Unsurprisingly, it also found its way to Browns lane that autumn, where it generated a good deal of interest, not all of it favourable. Its arrival was ill-timed, coinciding with the initial presentation of Jaguar’s own saloon proposal to BLMC’s Lord Stokes and John Barber, the review leading to Browns Lane’s stylists being told to come up with something that looked a good deal less like a Jaguar. Whatever one’s view of its stylistic merits, what is evident is that Paolo Martin encountered the same challenges Jaguar’s own nascent styling team faced in marrying more lineal surface language to Jaguar’s traditional, more voluptuous forms. What can be discerned in the overall silhouette, with its low bonnet line, lengthened, falling tail, slim pillars and large glass area, is Martin’s attempt to reflect Jaguar style, but the surfacing and the treatment of the car’s extremities saw a formal shift – one which proved an uneven struggle to execute successfully. Apart from the pinched central light line across the car’s flanks (first seen perhaps on Pininfarina’s 1955 Florida concept and reinterpreted by Jaguar on their own 1973 XJ40 proposal), the bodysides were unadorned – a Jaguar styling staple, as was the distinct wing crown line which created a ‘gothic’ peak above the tail lamps. But it was at the transitions to the nose and tail that Martin’s studious work flounders. The sharply cut-off nose containing large rectangular headlamp units, a broad, rather anonymous looking grille and bulky impact-absorbing plastic bumpers simply looked clumsy, bland and ill-resolved. The tail treatment, while employing a similarly sharp transition, is better, the tail lamps and more delicate treatment of the wing line offering a more plausible interpretation, with only the bumper treatment jarring noticeably. But more damningly, the overall forms and relationship between body and canopy lack the dynamic tension and subtle muscularity of Lyons’ best work, the Pininfarina design appearing somewhat flaccid by comparison. Inside too, while some of the treatments have some visual merit, it was all a bit modish and lacked the warmth and cosy familiarity of Coventry’s offerings. Perhaps more Ferrari than Jaguar in appearance and feeling, what Martin produced was a perfectly acceptable contemporary Pininfarina, but a rather second-rate Jaguar. Nevertheless, the XJ12PF proved rather influential for a time, Jaguar not only carrying out their own version of it (arguably an even less successful attempt), but employing variations of its themes through 1974-76 until both interference from BL management eased and clarity at Browns Lane was restored. Reappraising the XJ12PF today raises a question: Was the Fiat 130 Coupé Paolo Martin’s last truly outstanding Pininfarina design? While it’s one from which elements of the XJ12PF can distantly be gleaned, albeit in a more blunt, less refined manner, it is ironically, a design Jaguar’s styling team turned to later in the ’70s as they struggled to find a way out of their partly self-imposed styling impasse. Of the Italian carrozzieri, one could readily imagine Pininfarina being well-placed to create a plausible Jaguar saloon, given their rich history of visual elegance, yet with the XJ12 PF they missed the mark by some distance. Still, it wasn’t an entirely wasted effort, garnering a commission from Jaguar to restyle the existing XJ saloon’s canopy, resulting in the superbly realised 1979 Series III. But apart from this Cambiano never quite established a fruitful ongoing relationship. Quod Erat Demonstrandum, as they used to say in Italy. A design like Martin’s 130 Coupé’s is utterly reliant upon details. XJ12 PF’s front is almost a carbon copy of the Fiat’s, but far less successful, as the grille’s graphics jar and the proportions fail to live up to the 130’s. The careless grille grille design really is what’s letting this aspect down, just at the rear light units fail to add the required bit of delicacy. However, I think this is the closest any of the carrozzieri ever got to designing a satisfying Jaguar model. Pininfarina’s approach is inherently best suited for the brand, as reflected by XJ12 PF’s appealing stance, delicate haunches and lithe greenhouse. With some tinkering, this might have ended up a worthwhile XJ for the ’70s. Regarding the treatment of the bumpers, one mustn’t forget how badly almost everybody was struggling with their incorporation. Jaguar’s 1973 in-house proposal fares far worse than PF’s effort in this area, just as the earliest production XJ-S coupés did, eventually. In that context, PF did rather well for themselves, if not quite offering a solution of the ingenuity that Porsches of that era betrayed. They should have just done a coupé, which has always been PF’s forte. This saloon’s not a Jag, nor anything else, ‘tho the screen and A to B bit of the glasshouse is Jag. That was the problem most manufacturers had with Italian carozzieri: you got a [insert name of carozziere] first and a [insert name of manufacturer] second. Most Pininfarina designs look unmistakably Pininfarina which was fine as long as you were Peugeot or Ferrari with whole model ranges designed there but not so fine when you ordered just one car and found that it didn’t blend in with the rest of your range. Another prototype that didn’t make production. 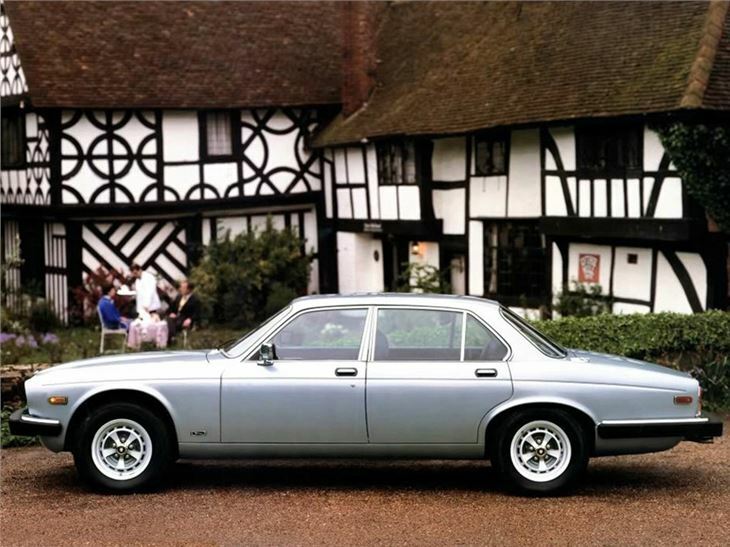 Maybe, with hindsight, Jaguar should have had more courage when replacing the venerable XJ6/12. The XJ40, to my eyes, was a timid compromise, lacking its predecessor’s elegance and not really moving Jaguar’s design on in any real sense. It was Jaguar’s equivalent of the Morris Ital; an uneasy dose of modernity applied to an “old” design. The subsequent X300 and X308 revisions actually stripped away the attempted modernity of the XJ40 and reprised the Series III design. This led Jaguar into the design dead-end that was the X350. Daniel, while I will accept that matters of styling are both subjective and a matter of personal taste, I simply cannot allow the Morris Ital accusation stand unchallenged. A hasty facelift of a woefully outdated design, carried out on a budget the equivalent of a pint and a packet of cheese & onion. The results speak for themselves, but that’s hardly the designers’ fault. XJ40’s styling by comparison evolved over a protracted and quite rancorous 8-year period where clarity as to the correct approach was only attained some 5 years into the process, owing to ever-changing dictates from BL management. While it’s entirely possible to state the melding of traditional and modernist wasn’t satisfactorally resolved – a matter that Jaguar’s own people have accepted, it was and remains a handsome, well proportioned design (far more so than the cars which followed) and, more to the point, a Jaguar to its core. Its styling was also (very firmly) approved by Sir William Lyons – in fact, it is he who pushed for the rectangular headlamp units to be adopted. Having read about your fondness for the XJ40 on your bio, I thought I would make some mischief, hence my provocative reference to the Ital. Of course, there is no comparison between a grim make do and mend facelift and a ground-up clean-sheet design. The XJ40 was a tremendous achievement for Jaguar, particularly given the difficult financial and political environment in which it was developed. That said, I guess we will have to agree to differ about the design merits of the XJ40. For me, the six-light glasshouse looked rather heavy-handed compared to the sublime Series III. The plastic/chrome trim covering the joint at the base of the rear pillar was a nasty piece of cost saving. The tail lights were a bit nondescript, particularly the smoked version. The rectangular headlamps were fine, and certainly much preferable to the four-lamp alternative on base models, which had an unfortunate American car resonance. Daniel, I have been defending XJ40 for so long now, I no longer register any emotion apart from the fervent conviction of the true believer. In fairness, compared with Series III, the ’40 is always going to fall short – what car wouldn’t? Jaguar had the option to go with a version of XJ40 which cleaved more faithfully to the earlier car, (four light canopy / similar treatment of the bodyside crease) but (rightly I feel) chose to go for something which signalled change. What I will say is that I have yet to see an alternative, either from within Jaguar itself or from any external source which came any closer to matching the ethereal grace of Lyons S1-S3 XJ. Which itself speaks volumes, I would suggest. It’s a great pity they couldn’t have refined the nose and tail treatments a little more, but there you go. The Series III wasn’t perfect either mind you, as Mr Randle pointed out to us in 2016. However, few could ever have detected Pininfarina’s stylistic error. I certainly hadn’t. Do I get grounded for saying I like the US market four-lamp version of the XJ-40? I think it’s interesting how the result shows the artists touch or lack theteof, where Lyons work is resolved while Pininfarinas work looks unresolved. It looks like it needs to go back to the designer for another round before it can be seen as completely finished. But if you look at the XJS or the XJ6 in its design development, there where several steps in that continous development before those designs were completely resolved, and the finished product looked nothing like what they began with. Like the cut off tail, they started with the rounded rump of the E-Type and decided on a Kamm tail with one singular section line, there’s an evolutionary line of thought where the tail is literally cut off. But Pininfarina didn’t start with one shape and ended up with another that was intrinsically Jaguar, they missed the evolutionary steps and went directly to applying what they saw as must have design attributes. Therefore, the design lacks meaning and sense where everything makes sense on a Jaguar however nonsensical. What’s lacking on the PF is really the genius of William Lyons, because it really is a Jaguar without anything that is Jaguar at heart. What we see is what we get, an ersatz Jaguar with all the meaningful bits taken out of it. Eóin, thanks for pointing me to the interview with Jim Randle, which was fascinating. However, I didn’t notice any reference to the stylistic error on the Series III and am intrigued to know what it is. Perhaps you might enlighten me? Ok, I like a challenge…going to have a good look at some Series III photos now! 1. The recessed door handles are a bit clumsy and inelegant. I would have preferred a more traditional chrome handle. 2. The shut line at the leading edge of the front door should curve gently rearward, rather than being straight and vertical, to sit more comfortably with the other door shut lines. I’m not even warm, am I? The 1979 car has those details Daniel spotted plus the trailing edge of the rear wheel hole. It’s still impossibly lovely. Better not mention the dodgy D-pillar treatment then. Oh…Doh! I give up on the Series III riddle. Back to the main point, the article was very interesting, and I find the assessment that Pininfarina had made a fine car but failed to make a Jaguar an excellent conclusion. Kris mentioned that this is the closest any of the carrozzieri has ever been to designing a satisfying Jag. I know that I can’t ever dream to have close the the amount of British feline related knowledge that he possess, but I would have to disagree. Dare I claim that the Jaguar B99 by Bertone is the best interpretation to come from outside the Albion ? I know, retro pastiche and all that… But look at it! It has that inherent Jaguar rightness about it, the elegant yet muscular stance, the voluptuous forms, the small to generous overhang front to back. And it’s devoid of almost all extrenious ornament, so much so that it has barely dated 7 years later. Maybe because it was dated the day it came out one could argue. But I believe that there exceptions to every rule, and this is not entirely a backward looking form, its a rather a generous nod to tradition but in modern form. Sure as in any design there are elements that can be critiqued, maybe the “fangs” are a but silly and the rims are an inch or two too big, making it look like a cat on stilts. And the front “grille” frame has some failed 3d print artifacts about it. Still I would like to see the alternative universe where Jaguar have decided to adopt that form language across the model range. One other fine example would be the XK140 Zagato, the racers’ carrozzerie always had a way with the bulbous form that would look right on the Queens arm chair. Maybe that’s why one of the most successful and right “British” shape to come out of Italy has their badge (the DB4 Z). And apart from the front end and the rather divisive grille, the rest I believe is quite rightly named Jaguar. I forgot something very important! Kostadin: yes, the B99 springs to mind. It’s very convincing. Am I mad to see a strong similarity between the Pininfarina car here and the 1975 Austin Princess? It’s the way the frontal graphics are framed by what appears to be a transverse section through the body. Hi Richard, no, you’re not. 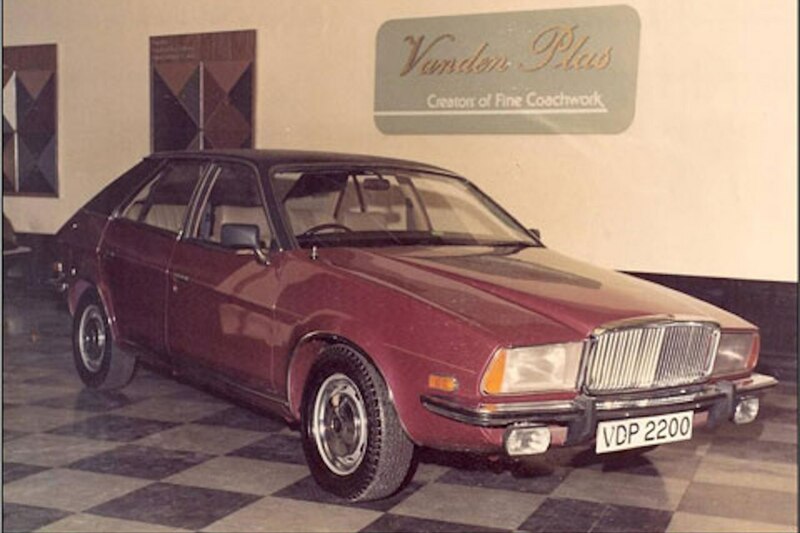 See my picture above of a proposed Vanden Plas version of the Princess, where the raised bonnet and larger headlamps and grille even more closely resemble the Pininfarina Jaguar XJ than the standard Princess. 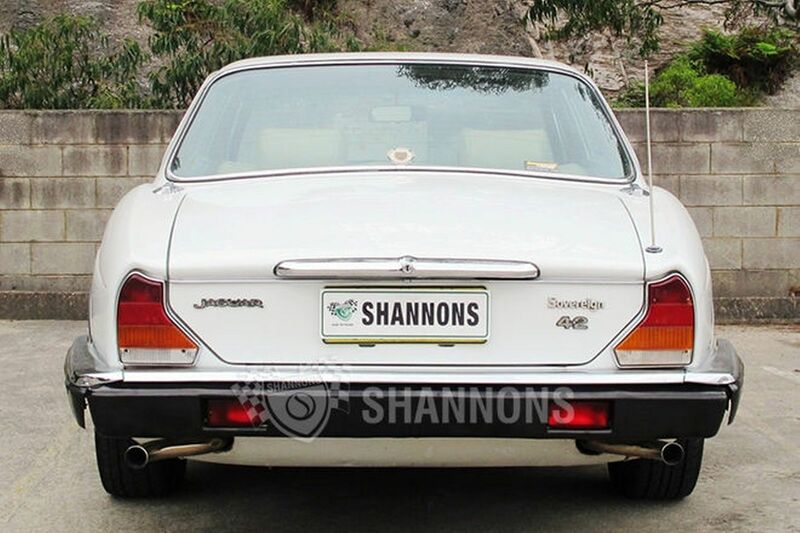 Hi Kostadin, the sagging rear end was an (apparently, true) story, but concerned the XJ40, not the Series III. It’s time Eóin took pity on us (or just me?) and revealed the answer to his riddle. Daniel: the Austin differs in that there is a strip of body-coloured metal running above the bumper which destroys the Pininfarina trope. However, it is much the same thing to the average viewer. The revisions for XJ50 (XJ Series III) were largely centred upon the canopy or glasshouse – amongst the changes made here was a reduction in the tumblehome of the side glass and a flatter roofline, which didn’t dip as much as the earlier cars towards the rear. Since every stylistic change tends to affect everything else in the vicinity, Mr. Randle, who lead the XJ50 project, pointed out that there was, to his eyes, a slight ‘bow-tie’ effect to the rear screen treatment when viewed rear-on. I think it’s something of an optical illusion, the “straight” upper edge of the rear screen appearing to curve downwards when seen in conjunction with the pronounced upward curve of the screen’s lower edge. I imagine it is more or less apparent depending on the height of the viewing position. I misunderstood your reference to the XJ50. I didn’t realise that that was the code for the earlier XJ and thought you were referring to the 50th anniversary edition of the current model, hence my reference to dodgy D-pillars, the most controversial and least satisfactory aspect of the car.